A 30-year survey of the Amazon rainforest has revealed that the Amazon is losing its ability to absorb carbon from the atmosphere. The uptake by the forest now is only half of what it was in the 1990s, says the study published in the journal Nature. Forests and oceans absorb almost half of the CO2 emissions from human activity, slowing climate change. 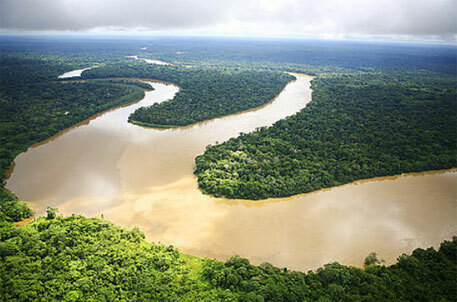 A substantial portion of this carbon sink is located in the tropics, especially in the Amazon. But the study, led by the University of Leeds, has found a long-term decreasing trend of carbon accumulation. It attributes this decrease to mortality and shortened longevity of trees. "Tree mortality rates have increased by more than a third since the mid-1980s, and this is affecting the Amazon's capacity to store carbon," lead author Roel Brienen, from the School of Geography at the University of Leeds, told Science Daily. The findings of the study contradict expectations that the Amazon forest will continue to accumulate carbon. Greater climate variability is said to be the reason behind the dying of trees. "All across the world even intact forests are changing," study co-author Oliver Phillips, also from the University's School of Geography, told Science Daily. "Forests are doing us a huge favour, but we can't rely on them to solve the carbon problem. Instead, deeper cuts in emissions will be required to stabilise our climate." Accroding to WWF, many trees were killed or stopped growing during a drought in 2005 and became a source of carbon. That year, the Amazon rainforest “emitted” 5 billion tonnes of CO2, much more than it absorbs every year.